U.S. Polo Assn. Bulgaria has this month opened its new store in The Mall shopping center in Sofia, located on Tsarigradsko shose Boulevard no. 115z. Extreme Intimo, Serbian underwear and fashion brand, opened on the 21st of July its new store in the city Mostar, located within TC Piramida shopping center on Dubrovačka Street. Studio Moderna, global retail and advertising group, opened on the 23rd of July its new Top Shop store, located within Importanne Centar at Trg Ante Starčevića no.7 Street in Zagreb, Croatia. Aviv Park Zrenjanin, retail park in the municipality of Baglijaš developed by Aviv Arlon, announced that it will expand its retail area by over 600 sqm. 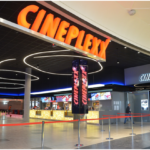 The project is currently negotiating lease agreements with new tenants and scheduled to welcome a new international tenant, JYSK, in October this year. Serbian company Delta Holding announced on the 16th of July that it has achieved revenues of over 30.1 billion RSD (over 255 million EUR) and EBITDA 2.6 billion RSD (over 22 million EUR) in the first six months of 2018. The largest share was realized by Delta Agrar (47%), followed by Delta Distribution (32%). Sphera Franchise Group, franchise partner of the American fast-food chain Taco Bell for Romania, has recently opened its third restaurant in the country, located in ParkLake shopping center at Liviu Rebreanu no.4 Street in Bucharest. Kopitarna, Slovenian footwear retailer, opened on the 12th of June its new store within City Center one West in Zagreb, located at Jankomir no.33 Street, Croatia. 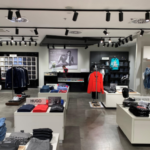 Montecristo Zagreb d.o.o., the company operating the multi brand fashion chain Modiana, opened on the 17th of July its new outlet store within King Cross Jankomir shopping center, located at Velimira Škorpika no.34 Street in Zagreb, Croatia. Mercator CG, part of the Croatian Agrokor Group, opened on the 12th of July its new IDEA supermarket in the Gornja Gorica neighborhood of Podgorica, located on Nikšićki Road, Montenegro. DeFacto, Turkish fashion brand, has last month opened its new store in BBI Centar in Sarajevo, located at Trg djece Sarajeva no.1 Street, Bosnia and Herzegovina. Reserved, Polish fashion brand owned by LPP Group, opened on the 11th of July its new store within Supernova Zadar shopping center, located at Akcije Maslenice no.1 Street, Croatia. KiK Textilien und Non-Food GmbH (KIK), German's largest discount fashion and home goods chain, is preparing to open its first stores in Romania in the next couple of months in order to reach a network of 20 stores in the country by the end of 2018. In the next two years the first KIK stores will open in Bulgaria and France. Vitapur, Slovenian furniture and home decor retailer, has recently opened its first store in Romania, located in Mega Mall shopping center on Boulevard Pierre de Coubertin no. 3-5 in Bucharest. CBRE, the world’s largest commercial real estate services and investment firm, announced on the 5th of July that it has established a new regional office in Belgrade, Serbia, to provide a full range of real estate advisory services to international and domestic clients in South East Europe (SEE). JYSK, one of the world’s leading furniture and home decor retailers, opened on the 12th of July its second store in the Romanian town Foscani, located at Brailei no. 102 Street. With the new opening, the chain has increased its retail network in Romania to a total of 60 units.